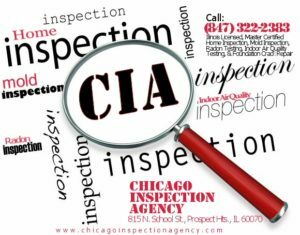 Chicago Inspection Agency – We Look Closer. Need Information? Here's a primer on Mold, Volatile Organic Compounds (VOCs), Radon, and other sick building issues and your health. Home Inspection Details – Breakdown of what’s involved with a quality CIA Home Inspection, Including a sample report to download. 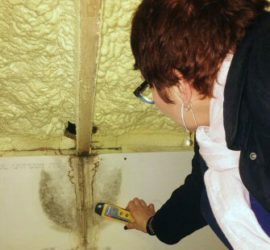 Mold Inspection Details – What’s involved with a quality CIA Mold inspection, including a mold inspection report to download. 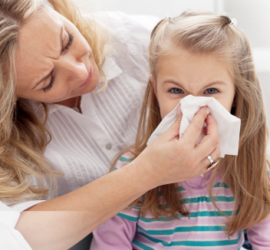 (VOC) Indoor Air Quality Testing – Defines what a VDC inspection entails, along with a FAQ on common questions along with a sample downloadable report. 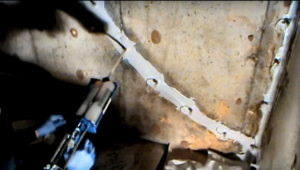 Radon Testing – Details on CIA’s Radon testing service. 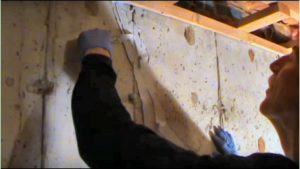 Foundation Crack Repair – Explains what to look for and how we repair foundation Cracks. This expert quality value-added service can be just what a wet, moldy basement needs to get a troubled sale back on track, or simply fix the source of mold and water damage..
All About Mold – CIA’s information packed resource for everything you need to know about mold, mold health, black mold – virtually every type of mold a test might identify and it’s effect on health. Contact us provides a form to e-mail us with your specific inquiry, or request for a quote. During business hours, feel free to take advantage of our Text CIA Now! feature (click the blue arrow on the bottom right of the website) to talk to Brett of Holly right away. In Addition, on the left side of each page we’ve included Informative Links to relevant sites and direct links to add your review of CIA on popular sites! 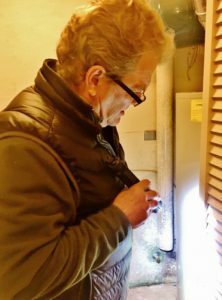 Home Inspector Details – Goes into detail on what to look for in a great home inspector and how CIA measures up. Experience, education. certification and dedication to customer needs make CIA first in a very competitive market. 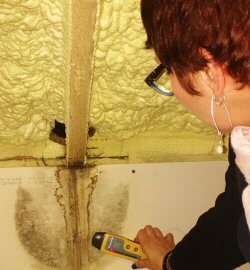 Mold Inspector Details – What to look for in a quality mold inspector and CIA’s qualifications. 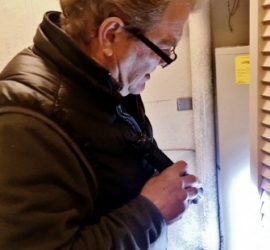 Infrared Camera Service – The ins and outs of how advanced Infrared assists on a CIA home inspection to uncover hidden problems. CIA Certifications and Credentials – A detailed listing on all the licensing and certification CIA has amassed over the years. Customer Reviews and Testimonials – Our proudest page! Presents transcribed mailed reviews from over the years, along with our Internet ratings and review links, capped off with our consistent A+ Ratting with the Better Business Bureau. Translation Services – The page detailing our electronic translation capability. Sale and Foreclosure – Industry specific information our foreclosure and short sale services. Realtors – Information specific to our services for realtors and other real estate professionals. Sellers – Information for sellers on how and why to use CIA services to maximize their profit in a sale. Professional Builders – A page that speaks to how professional builders can use CIA expertise as a second set of eyes in their projects. Do-It-Yourself Builders – Consult services available to the Do-it-yourself builder on their plans and execution as their homes are built or renovated. one-stop array of professionally executed services tailored just for the homeowner. right now, or call 847-322-2383 for an estimate.